From 2017 to 2018 there was nearly 50% growth in the number of native ad tech vendors. It went from 272 to 402. Definitions and the methodology of the categories and the project at large can be found here. Since we’re already in Q2, I thought I’d take a look at the growth of the native ad tech landscape in just Q1 of this year. In the last three months, the landscape has grown by 48 vendors for a total of 450. That’s nearly a 12% increase since the beginning of 2018. At that rate of growth, the 2019 vendor landscape will have annual growth of 48%, the exact growth from 2017 to 2018. It’s growing at the same speed in Q1 as in all of 2017. 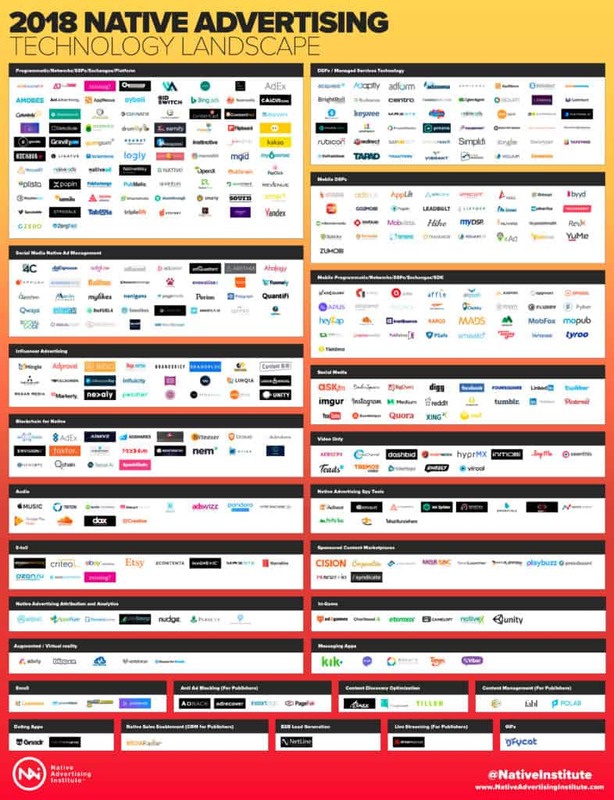 Now let’s explore the vendors that didn’t make the original 2018 native ad tech landscape and the categories they are in. 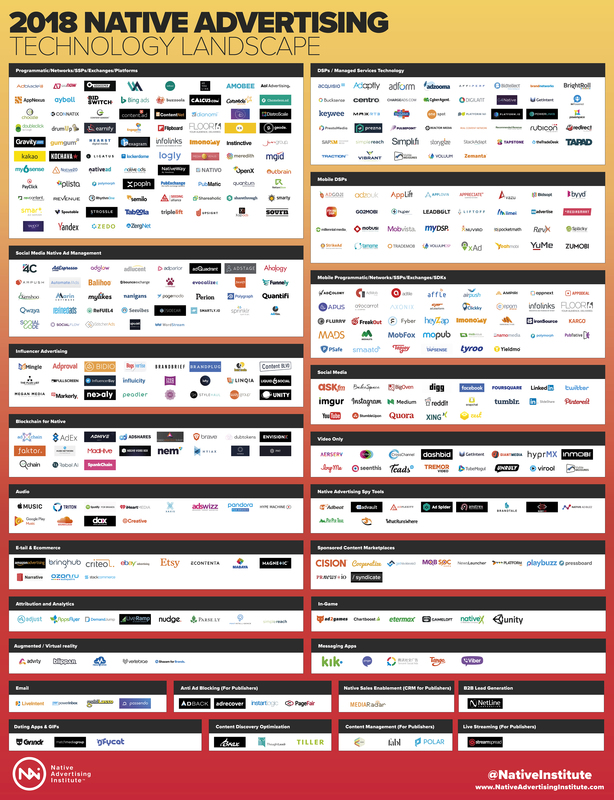 Note: Just because these vendors didn’t make the original 2018 landscape doesn’t mean they didn’t exist in 2017. It just means I discovered them Q1 of 2018. DeepIntent – AI-driven native and non-native advertising units. Platform and exchange. Madgic – Predictive programmatic mobile advertising technology. Connects supply and demand. SoMo Audience – A Self Service DSP created to help set up and run Internet advertising programs. Swipe thru technology. Crowdtap – Connects brands with micro-influencers. Pay using rewards – products or services. Gamified. According to ADYOULIKE, global native advertising spend will be $85.5 billion by 2020 and make up 30% of all advertising spending globally. Juxtaposing Q1’s numbers with all of numbers from last year make it clear that the native advertising technology landscape growth isn’t slowing down. The growth is consistent with the growth of last year’s numbers – in fact, it’s exactly the same. Entrepreneurs are jockeying for their piece of the native advertising investment growth. 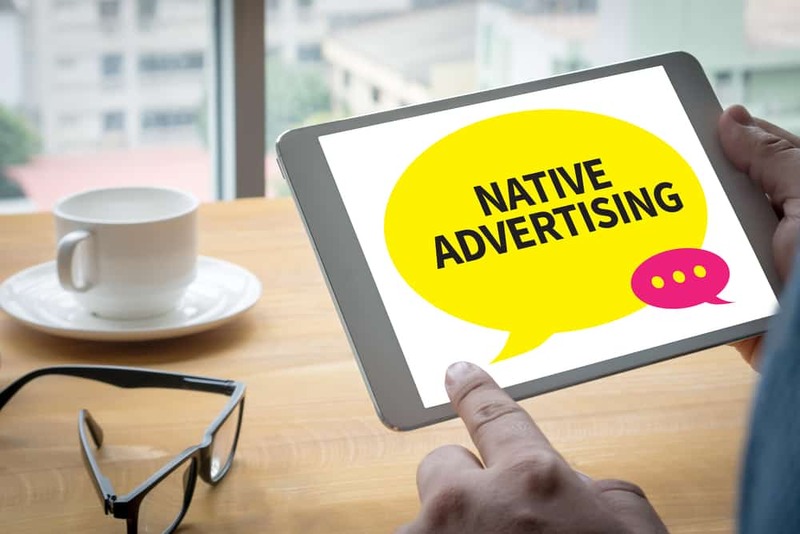 For more details of the native advertising technology landscape visit the Native Advertising Institute. The free ebook download is also available there. The native advertising and artificial intelligence ebook is available here. A variation of this article first appeared on Martech.Zone.